We are familiar with fritters. There are many varities in fritters. I heard about poha vadai but all of the sudden I think how the poha fritter will. So I tried this poha fritter for the first time. It came out well. My little one loves this very much with tomato ketchup. We all enjoyed this tasty & healthy poha fritters. One important note is no need of ghee for getting crisp, poha will give crisp without adding ghee. really it tastes good. 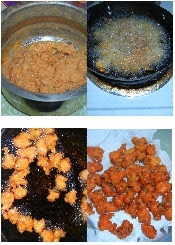 SO I am happy to share my own tried recipe. Soak poha with 2 cups of water for about an hour or 2. Squeeze water from the poha and keep poha drained from water. Add besan flour, rice flour, red chilli powder, green chillies, ginger, curry leaves, cilantro, onion and salt to the poha and mix well. Once the fritters are cooked well with golden color, do the rest of the mixtures in the same procedure. 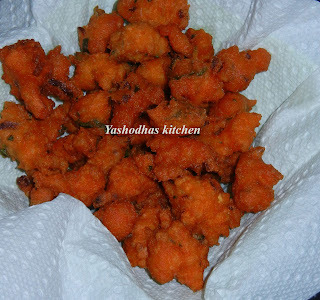 Serve it with ketch up or chutneys or as such. 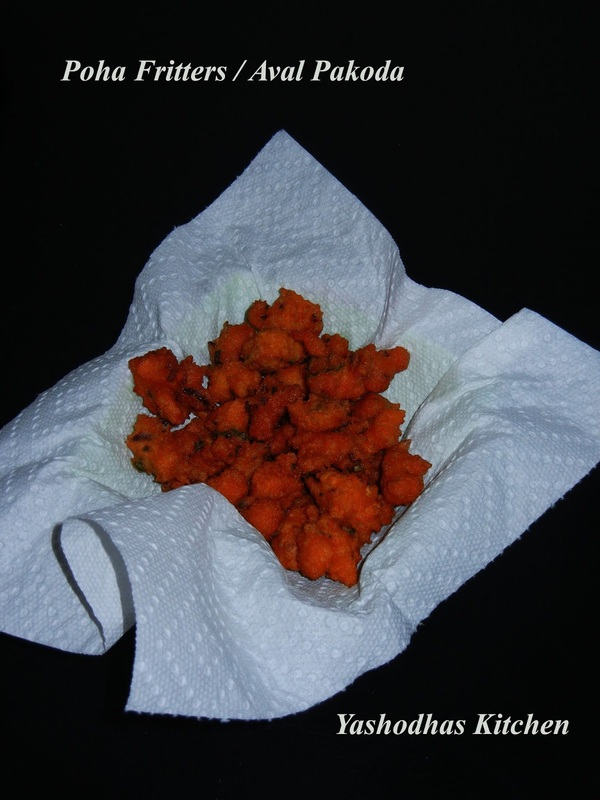 Hot tasty yummy poha fritters are ready for your snack. Enjoy your snack!! Crispy and tempting pakoda....thanks to link this recipe to my event..